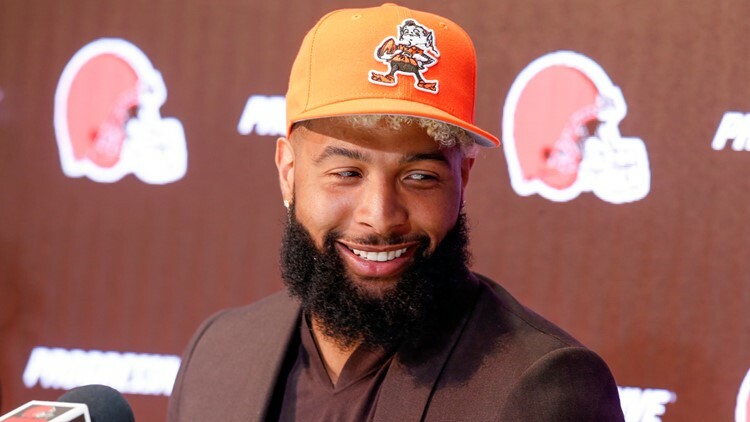 Speaking to the NFL Network, Pro Bowl pass rusher Von Miller shared Odell Beckham Jr.s' first reaction to the trade that sent the star wide receiver from the New York Giants to the Cleveland Browns. According to Von Miller, Odell Beckham Jr. initially felt hurt upon being traded from the New York Giants to the Cleveland Browns. The Denver Broncos All-Pro pass rusher should know. He was with Beckham when it happened. Speaking to Jesse Palmer of the NFL Network, Miller opened up about his ongoing offseason and the plans he has for the remainder of his career. But perhaps the former Super Bowl MVP's most noteworthy comments came as he discussed Beckham's reaction to the blockbuster trade that happened to occur while he was on vacation in Paris with the 3-time Pro Bowl receiver. “He was hurt,” Miller told Palmer of Beckham's reaction. “He was hurt initially. He loved New York. He loved his teammates. He loved the team. Whenever you get hit with something like that, you’re going to be hurt. You’re going to feel some type of disappointment with that." Speaking at his introductory press conference at the Browns' team facility in Berea last week, Beckham acknowledged as much. “It is hard to explain. I can’t even put it into words," Beckham said of the trade. "I was heading to dinner and I just remember seeing [Giants General Manager Dave] Gettleman calling. I knew something was going down. I picked up the phone and took the call. It was quiet for a minute at dinner. It just was a lot. "I do not even know how else to describe it. It was just a lot, a lot of emotions and a lot of thoughts that run through your mind. Your whole life is changing. It is still the same in theory, but it is changing." That's not to say that Beckham isn't excited about the opportunity to join what has quickly become one of the NFL's hottest young teams. Aside from also employing his close friend, Jarvis Landry, Cleveland lays claim to an impressive collection of talent that includes quarterback Baker Mayfield, defensive end Myles Garrett, cornerback Denzel Ward and running backs Nick Chubb and Kareem Hunt. It didn't take long for Beckham to realize as much. Prior to being traded to Cleveland, Beckham spent the first five years of his career in New York, where he established himself as one of the most dynamic receivers in football. In 2018, the 5-foot-11, 198-pound receiver recorded 77 receptions for 1,052 yards and 6 touchdowns in 12 games. 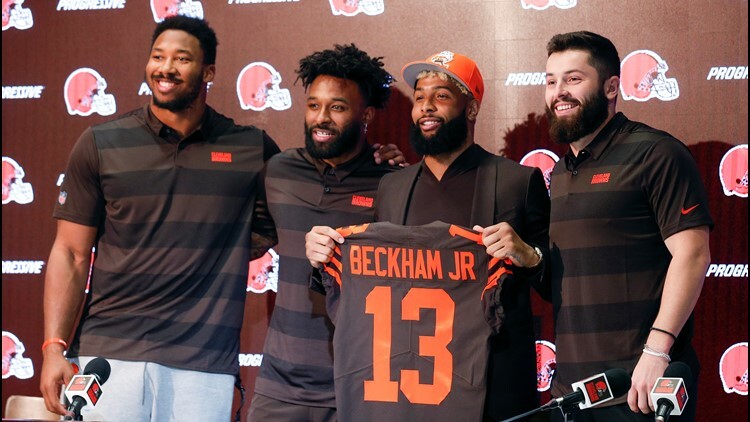 Sitting alongside Mayfield, Landry and Garrett last Monday, Beckham was officially introduced as a member of the Browns in a press conference in Berea, although his stay didn't last long. According to his Instagram, the two-time second-team All-Pro made a quick getaway to Malé, Maldives, in an effort to "recenter" himself. Suffice to say, this vacation took on a much different tone than his last one.